That said, I actually adore The Flash. I looked forward to watching it each week, and I came away from the season finale wanting more. How is it that two shows, both on the CW, both created by similar creative teams, and even occupying a shared universe, managed to make me look at them in wildly different ways? The Flash stars Grant Gustin as Barry Allen, a nerdy young CSI for the Central City Police Department. 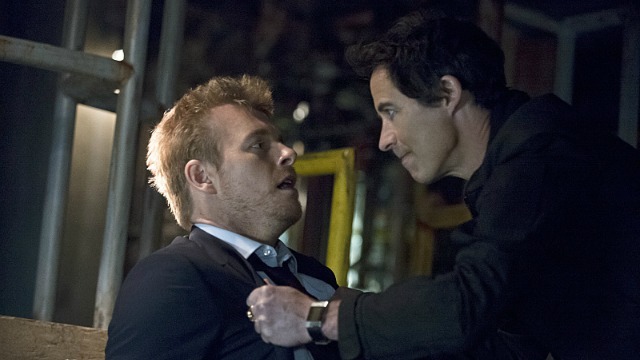 He’s obsessed with proving the innocence of his jailed father, Henry Allen (John Wesley Shipp, who played Barry Allen in the 1990s The Flash TV series). Henry was convicted years ago of murdering Barry’s mother in a strangely fantastical incident that Barry witnessed as a child. There was a big, yellow streak involved. Then one day, at the activation of the new S.T.A.R. Labs Particle Accelerator, things go horribly wrong. There’s an explosion in conjunction with a lightning storm. Barry is struck by lightning while working in his strangely grungy-looking CSI lab. Also, Joe’s partner, Detective Eddie Thawne (Rick Cosnett), shows up and begins dating Iris. From what I saw of Arrow, the two shows do have a few things in common: They’re both drenched in bathos and melodrama and almost none of the characters look above 30. But aside from that, they couldn’t be any more different. 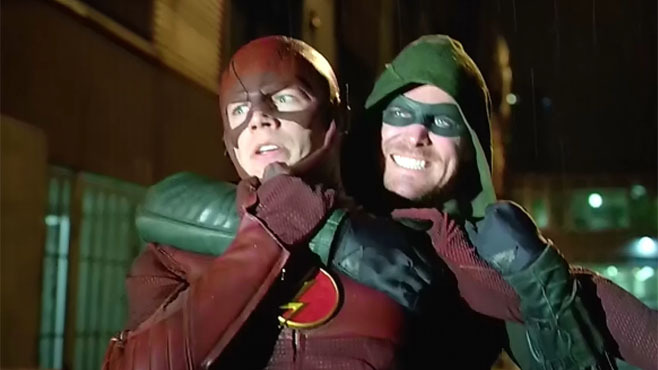 Where Arrow is dominated by soulless and crushing despair, The Flash is the most upbeat TV drama I’ve seen since White Collar. It’s not just the abundance of humor. It’s stories are made to be as fun as possible, with no pretentions of being realistic or serious. After all, how serious can a show about a guy who runs really fast punching criminals be? Early episodes of the show went with a straightforward police-procedural feel. But as the show got more confident, it eventually transformed into full-blown comic-booky science fiction craziness. Arguably the two best things about this show are the Joe West and Harrison Wells characters. Joe is just a fun character to watch. He’s so blithely incredulous about the craziness going on around him that it’s impossible not to find him endearing. I love that he’s really the only one who has a problem with Barry and his friends locking up all the meta-humans they capture in a completely illegal private prison. There’s also an actual Tumblr devoted to his unique facial expressions. Joe West reminds me of a more laidback version of Crispus Allen from Gotham Central. 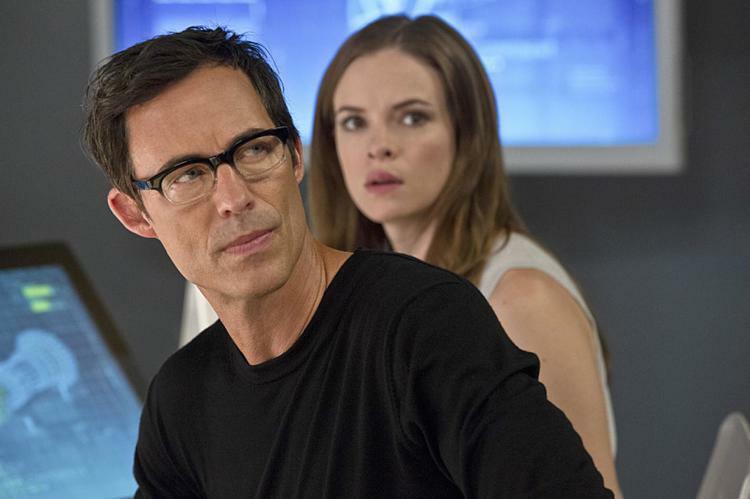 Then there’s Tom Cavanagh as Harrison Wells. Cavanagh spends most of the season in a wheelchair, but it’s incredible how subtly he gets his character across. I enjoyed how they played up Wells’ similarities to Joe, in that they’re both father figures to Barry. It all leads up to a great payoff in the end that gives us an excellent performance by Cavanagh as a maniacally evil mad scientist. He’s interesting to watch at all times. As for other villains, The Flash suffers from a tired “freak of the week” format, but it’s redeemed by a particularly fun group of recurring villains. There are the Rogues, led by Captain Cold (Wentworth Miller), who deserves special mention. He sounds like he’s channeling Clint Eastwood half the time, but he’s obviously having a lot of fun in the role. Some of the best and craziest episodes of the series involve both he and his fellow Rogues, Heat Wave (Dominic Purcell) and Golden Glider (Peyton List). Purcell is probably the hammiest actor on the show next to Mark Hamill’s much-ballyhooed guest star as the Trickster. And who can forget the Reverse Flash the Man in the Yellow Suit? Granted, The Flash won’t win any writing awards. 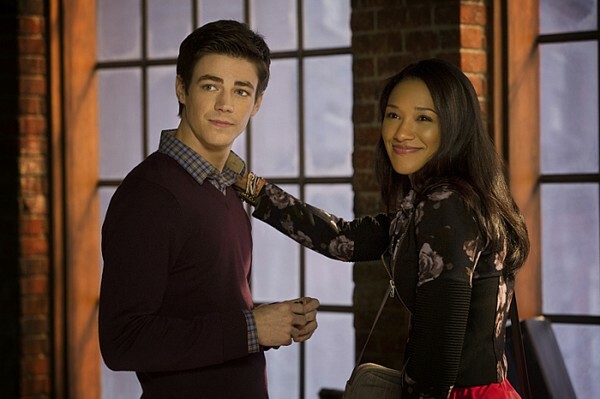 For instance, the love triangle between Barry, Iris, and Eddie seems contrived at best and creepy at worst. On one hand, there’s no real conflict between Eddie and Barry because they’re both really nice guys. Barry doesn’t want to hurt Iris or Eddie, and those two are completely oblivious to Barry’s feelings. On the other hand, Iris herself said in the first episode that she and Barry were like “brother and sister.” Ick. It didn’t help much when they decided to pair Iris with Eddie. It was a pathetically obvious effort to inject some cheap drama into the plot. Incidentally, Eddie and Iris actually make a pretty good couple. 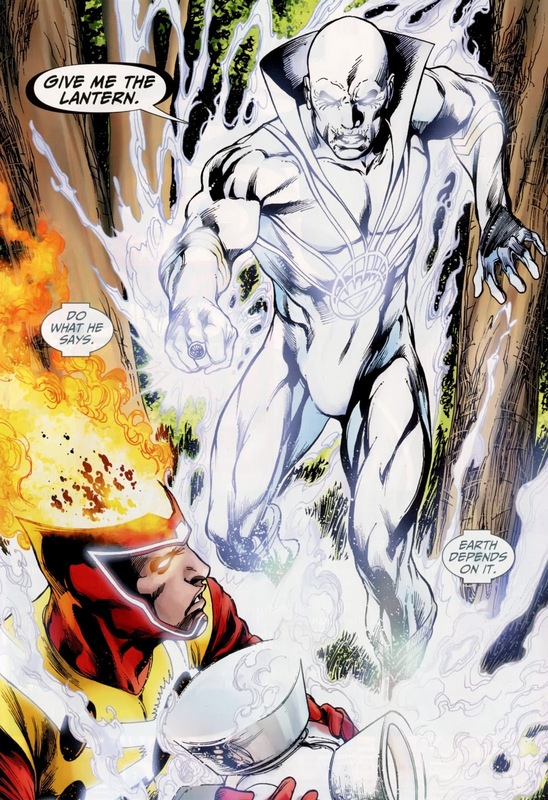 But that intrigue of peters out, and Eddie fades into the background as the series goes on, particularly when Team Flash begins dealing with Firestorm. But the finale actually addresses this problem, after much else has been revealed. Believe it or not, it actually works! When the series ends, Eddie is seen in an entirely different light. For all its faults, The Flash won me over because of one simple truth: It’s fun. The crazy plots, the spectacular, super-powered battles, the silly melodrama, the obligatory DCU references, the self-aware humor. Even the mediocre CGI and other special effects were endearing. Bottom line, if you like superheroes with no pretentions of seriousness (think Thor, The Avengers, and Guardians of the Galaxy, with a bit of Batman ’66 thrown in), then you’ll absolutely love The Flash. Something tells me that DC is beginning to understand that their heroes can afford to smile now and then. Image 1 from rottentomatoes.com. Image 2 from theinsightfulpanda.wordpress.com. Image 3 from theflash.wikia.com. Image 4 from etonline.com. 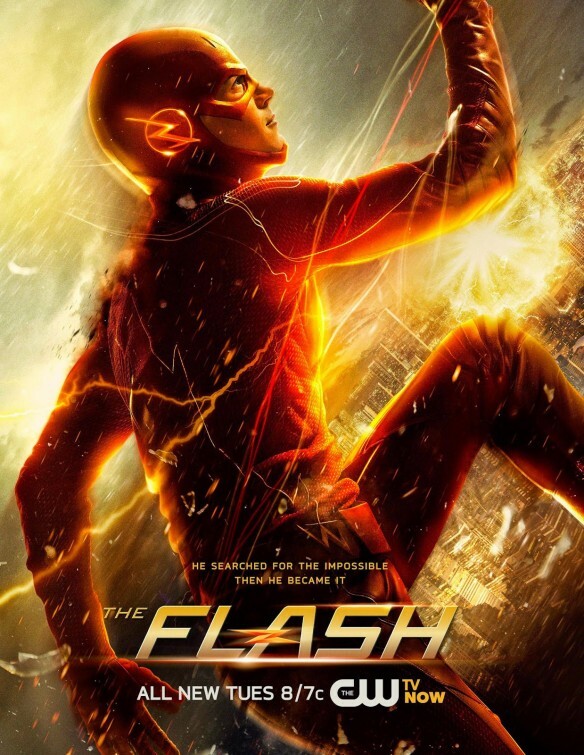 This entry was posted in Television and tagged Arrow, Barry Allen, Candice Patton, Captain Cold, Carlos Valdes, Danielle Panabaker, DC Comics, Dominic Purcell, Firestorm, Golden Glider, Grant Gustin, Heat Wave (DC Comics), Iris West, Jesse L. Martin, John Wesley Shipp, Levi Sweeney, Mark Hamill, Peyton List, Reverse-Flash, Rick Cosnett, S.T.A.R. Labs, The CW, The Flash, The Flash (TV Series), The Trickster (DC Comics), Tom Cavanagh, Wentworth Miller on 05/30/2015 by primaryignition. So here we have it: The third and final Brightest Day collection, which ties everything together, and lets us know who Earth’s ultimate champion is. I’m going to stay spoiler free here, but I talked at length about the big reveals at the end when Brightest Day #24 was originally published. So that’ll be your fix for spoilers on this one. When we open the book, all the characters are in the middle of their respective storylines. 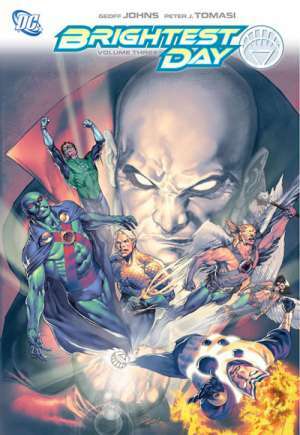 Boston Brand (Deadman) reunites with his only living relative, Hawkman and Hawkgirl do battle alongside Star Sapphire in space, Ronnie Raymond and Jason Rusch race to save Ronnie’s father and Professor Stein, Martian Manhunter continues to be tormented by a most unexpectd foe, and Aquaman and the new Aqualad prepare for what may be the battle of their lives. All the while, the entity that resides within the mysterious White Lantern is becoming more aggressive in preparation for a moment that may decide the fate of the world. Until we get to our big reveal at the end, this book is pretty good. In all fairness, while I wasn’t a big fan of the ending, it did make sense given what had been established in Blackest Night and other stories. I found myself wanting to see more from the Deadman story arc, but it’s likely best that things turned out the way they did. If they overdid it, the arc could have been tainted. The Hawkman/Hawgirl story never really did it for me, but it ends on an interesting enough note. Aquaman and his cast of characters get a nice spotlight in this particular book, as the “Aquawar” story within a story played out. Particularly strong were the moments between Aquaman and Black Manta, two rivals whose contempt for one another rivals that of Batman and The Joker (yep, I said it). Aquaman and the new Aqualad, Jackson Hyde, also have a few interesting moments together, which leads me to believe the two will have an interesting partnership. This book has what some would consider to be an all-star team of artists. Ivan Reis’ work with Johns has been well publicized, and he delivers yet again here. Ardian Syaf continues to have strong showings (despite his talent being wasted on that damn Grounded story). Those two turn in the strongest performances here in my opinion, though the art is great all around. I’m interested to see if this entire story remains in continuity with the New 52. Apparently, the romance between Dove and Deadman will still be in continuity. And as our mystery savior at the end is getting his own book as well, one can conclude his arc is canon. 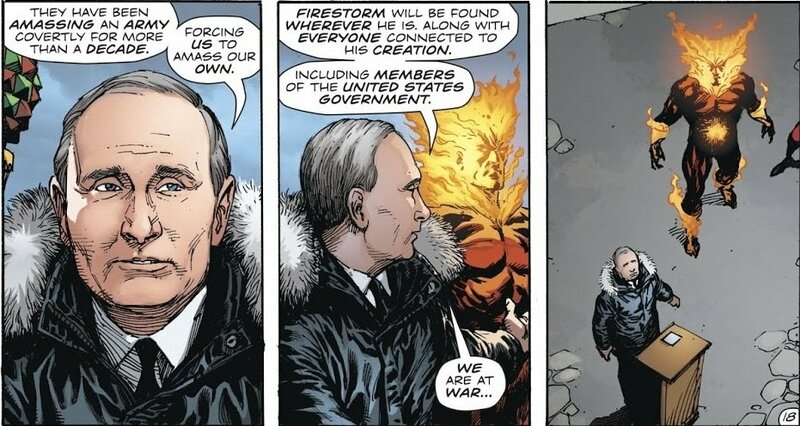 Firestorm may be as well. To an extent, one can only speculate. In any event, Brightest Day certainly created a decent amount of momentum for its stars, which may be evidenced by most of the stars getting their own ongoing books this month. 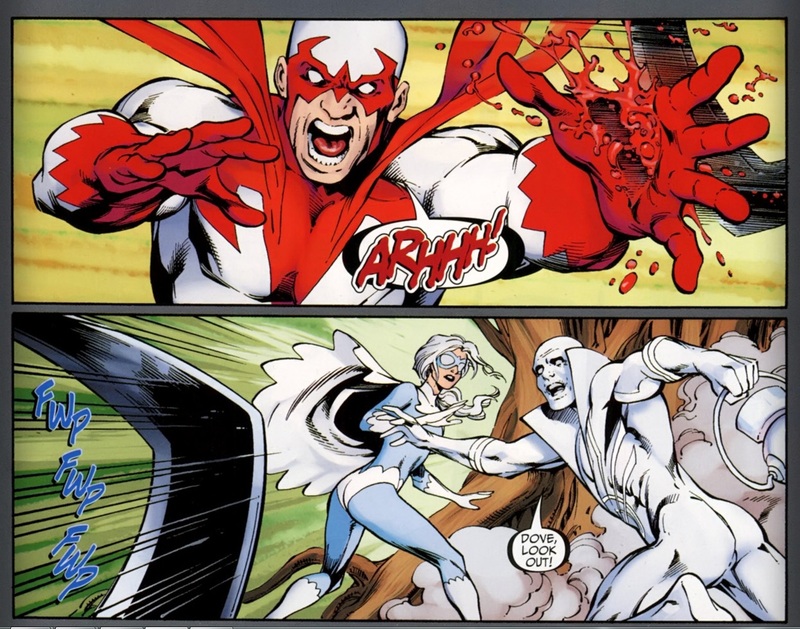 Deadman will also be featured in the first story arc of DC Universe Presents. From my perspective, this final volume saw the quality dip a bit, but not much. Brightest Day is a worthwhile venture. Image 1 from x-mensupreme.blogspot.com. Image 2 from panelxpanelcomics.wordpress.com. This entry was posted in Comic Books/Graphic Novels and tagged Aqualad, Aquaman, Ardian Syaf, Black Manta, Boston Brand, Brightest Day #24 (2011), Brightest Day (DC Comics), comic books, DC Comics, Deadman, Firestorm, Geoff Johns, graphic novel reviews, graphic novels, Hawkgirl, Hawkman, Jackson Hyde, Jason Rusch, Martin Stein, New 52, Patrick Gleason, Peter Tomasi, Rob Siebert, Ronnie Raymond on 09/08/2011 by primaryignition.